Lorraine Mace is an author, columnist and editor. In addition to a critique and author mentoring service, she also hosts creative writing workshops in Spain. A former tutor for the Writers Bureau, she is co-author of The Writer’s ABC Checklist. She is the founder of the international writing competitions at Flash 500 (Novel Opening and Synopsis, Flash Fiction and Humour Verse). 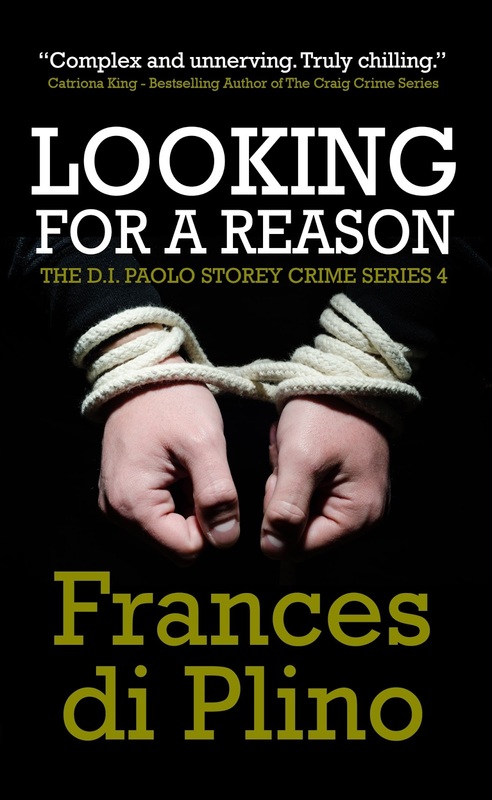 Writing as Frances di Plino, she is the author of Crooked Cat Publishing’s D. I. Paolo Storey crime thriller series. Book 5 is due for publication next year. Here she discusses why she writes, and what she has learned on her journey to publication. Welcome, Lorraine, you've had a long and varied writing career. First question ... why do you write? I write because I have no other way of getting the voices out of my head! I don’t mean the demonic kind (although readers of my Frances di Plino crime series might argue that point). I mean the multitude of characters who are alive in my mind. They have conversations, arguments, fall in love, fall out of love, kill, maim, heal, nurture, work at jobs they love and at those they hate. They live and breathe and in my head and if I don’t write I have no peace. Various plots and settings are also there, but it’s the characters who refuse to go away until I’ve told their stories that force me to write. What’s your first writing memory? I wrote a ghost story which was chosen as ‘story of the year’ in my school magazine. 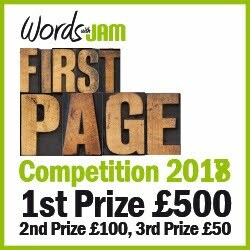 I can’t remember now if I wrote to a prompt or if the theme was open, but I can still remember the story – I would now rewrite the ending, but then I’ve come a long way since the age of thirteen! The first novel I wrote was for children aged 8-12 and called Vlad the Inhaler. It’s the story of an eleven-year-old asthmatic hupyre (half human/half vampire). Vlad is scared of the dark, can’t turn into a bat and is a vegetarian who loves peaches. He has to battle bounty hunters, vampires, werewolves, witches and pitchfork wielding villagers. He starts the book hiding from everyone and everything but finds courage and self-belief along the way. Was writing just a hobby to begin with for you? Yes. I only took up writing short stories as a way of passing the time when we moved to France in 1999. I am ashamed to say, in my then ignorance, I thought all I needed to do was dash off a story and it was sure to be accepted. 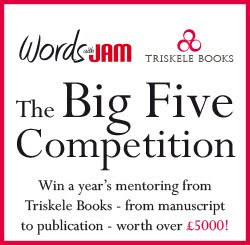 It took several rejections before I was lucky enough to have one published in one of the women’s magazines – for which I earned the amazing sum of £350. With ignorance reigning once more, I thought a door had opened through which my stories would flow in one direction and money would flow in the other. Anyone who has written fiction for the magazine market will understand how naïve I was back then! I don’t know that I have ever decided I was ‘good’. I knew I could write when I started getting more acceptances than rejections for short stories and articles, but even though I am now a published novelist I still don’t feel I have yet reached the point where I am totally happy with my work. As a writer, I feel I should never stop striving to improve and learn. From the moment I started writing my aim was publication. I feel, rightly or wrongly, that there is no point in writing unless you have readers to enjoy the worlds and characters you have created. My first steps were disastrous! I finished writing my children’s book and immediately sent it off to several top agents. It was first draft and dreadful, but I was so proud of my achievement I thought it was brilliant. I have since learned the hard way that nothing should be sent out until it has been rewritten, revised and polished until it gleams! My first published novel was Bad Moon Rising (written as Frances di Plino). It was accepted by an indie publishing house as an ebook only. However, I’m delighted to say it was later published in print and went on to be a finalist in the People’s Book Prize. When my ten-year-old grandson told me he loved my children’s novel. I have received many emails and letters from readers of my crime series, but nothing comes close to how I felt when Tegan said he couldn’t wait to read the second book in the trilogy. Yes, I wish I had used my own name for my crime series. 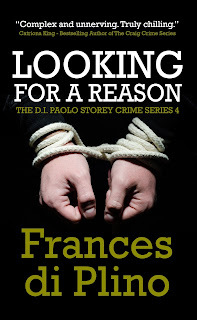 As Lorraine Mace I have a fairly good author platform, but Frances di Plino was totally unknown. Instead of being able to build on an established reader base, I had to make people aware of this made up person. That getting an agent wasn’t the Holy Grail! When I was signed up by a top children’s agent I believed I had made it and that the next step (publishing deal, foreign right sales, film of the book and all the fabulous stuff authors dream of) would follow as a matter of course. The reality was completely different. Acquiring an agent is just one tiny step on a very long treadmill that never seems to come to an end. Don’t ever lose belief in yourself or your work. Rewrite until your fingers bleed – and then rewrite again. Don’t believe your friends and family when they tell you how brilliant you are. You might well be brilliant, but until people who really don’t care if they hurt your feelings say you are, the compliments don’t count.